tweed skirt- if you are looking for an easy way to look put together this season, consider stocking up on some tweed A-line and pencil skirts. I have a couple of these and they make my winter style ten times more stylish and fun. The heavy tweed and wool materials of these skirts also keeps you warm! blanket scarf- still trending after several years, these winter staples are best worn like a shawl! pink beret- berets have been such a surprising trend this season and I really want to get my hands on one to wear on super chilly days. I love how they can add such a classic and Parisian twist to any outfit! I hope you all enjoyed some of my favorite items to wear during the winter. I own a few of these and have similar styles of other items. 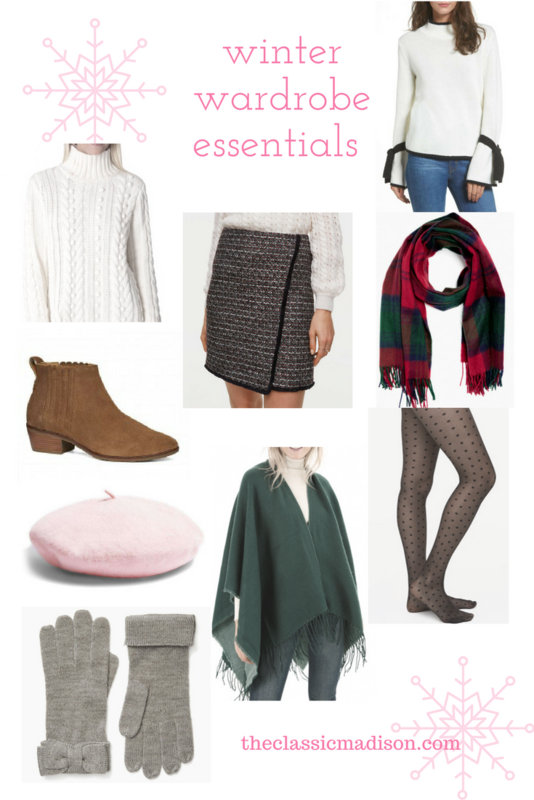 What are your essential pieces during the winter? I have a similar skort to your skirt. Mine's from Brandy Melville and I absolutely adore it.